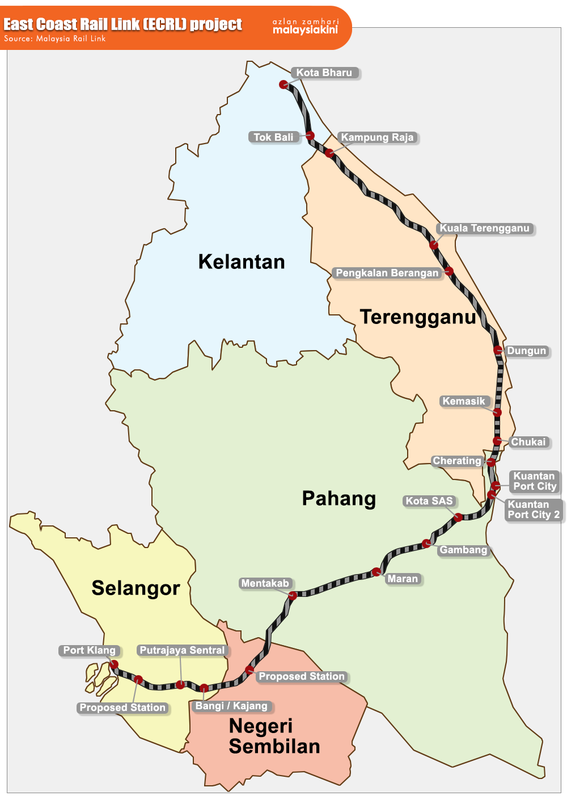 However, it will now skip Bentong and Gombak; instead, it turn south from Mentakab to Kuala Klawang in Negeri Sembilan before entering Selangor through Bangi/Kajang and then proceeding to Putrajaya Sentral and finally Port Klang. "The new alignment will leverage the existing KLIA Express Rail Link (ERL), as well as the future MRT2 Sungai Buloh-Serdang-Putrajaya line, with an interchange in Putrajaya Sentral. 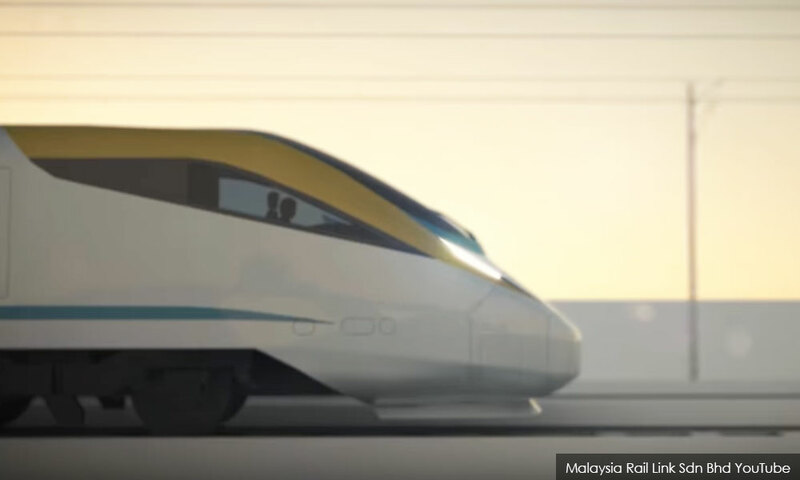 "This will improve passenger connectivity to other parts of the peninsula's west coast, as well as provide a direct link to Kuala Lumpur International Airport," he said. The prime minister added that by having the Bangi/Kajang station, passengers of KTM Komuter and ETS can also interchange there to the ECRL. "Therefore, it will now pass through five states and the federal territories of Putrajaya from the previous 4 states, allowing more States to partake in the economic benefits of the improved deal," he said. Furthermore, Mahathir said considerations for the environment was also made. "Importantly, the new alignment also prioritises cultural, heritage and environmental factors by avoiding the Klang Gates Quartz Ridge in Gombak, Selangor - the longest pure quartz dyke in the world," he said. Under the original plan, an 18km tunnel had to be drilled in order for the ECRL to travel from Bentong to Gombak. 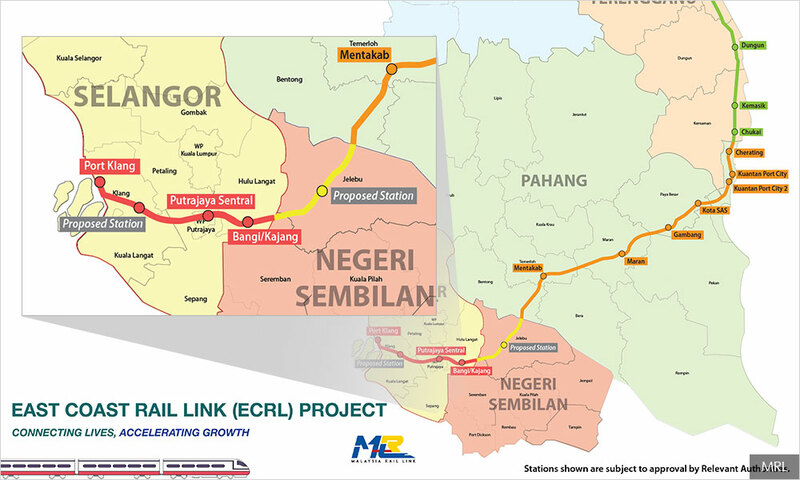 Mahathir said the ECRL is expected to be completed by Dec 31, 2026, from its original completion date of June 30, 2024.